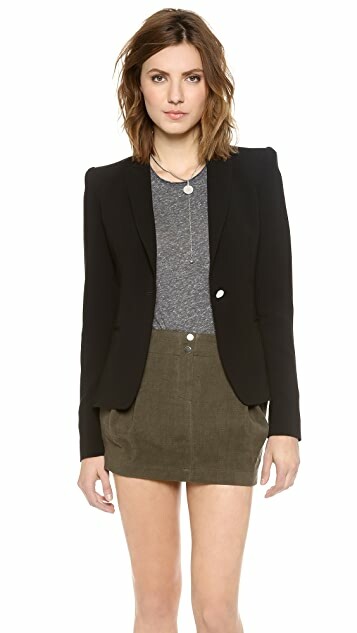 Heavy shoulder padding structures to this Faith Connexion blazer, giving workwear an avant-garde edge. 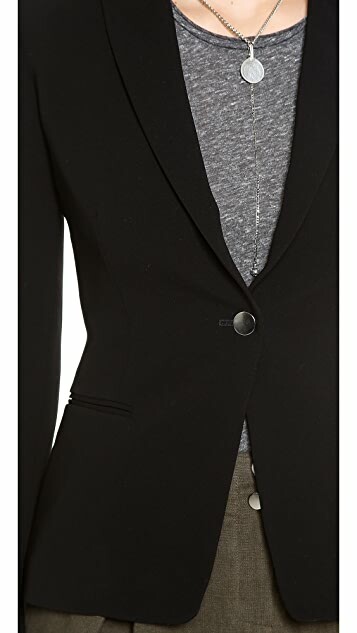 Notched lapels frame the buttoned placket, and welt pockets detail the front. Buttoned cuffs and long sleeves. Lined.